Fully supported and serviced in North America by HORN Machine Tools, Inc. 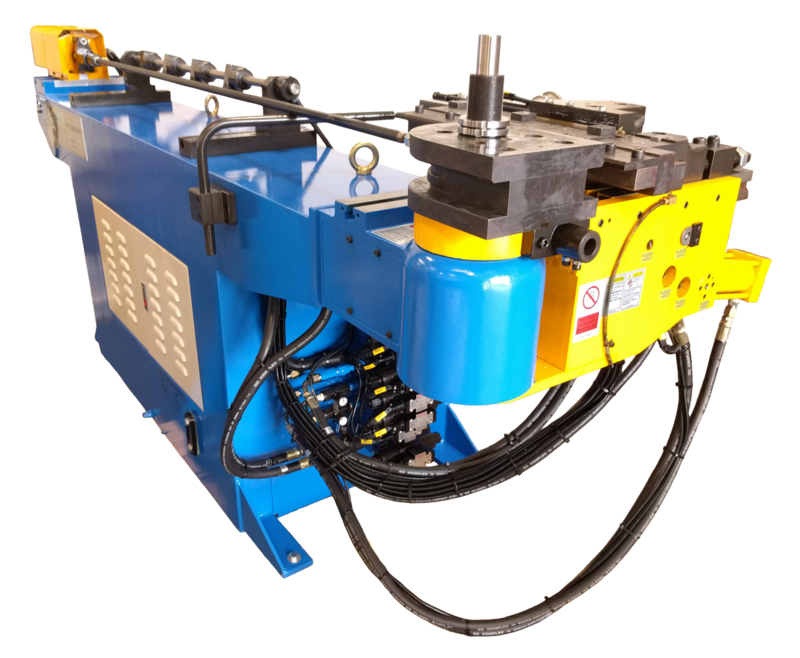 This value priced A38TNCB Tube Bending Machine is an excellent choice for general purpose fabrication. Industries that use this machine are; aircraft bending, job shop, automotive, hydraulic shops, HVAC copper bending, fuel lines, aluminum tubes for AC units and any other type of conventional tube bending applications. The machine incorporates a compact design which minimizes floor space. HMT can provide tool mountings to utilize most types of existing bend dies. Yes! Sign me up for emails with great info about online marketing. Locations California, Minnesota and Indiana.